centralizing your media assets, documentation, and knowledge base. Have Galaxy Consulting do that for you! real-time access to relevant information. Have Galaxy Consulting make that happen for you! they have the right information at the right time. Have Galaxy Consulting ensure that they do! 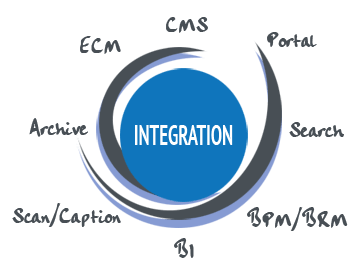 content management and document control. Have Galaxy Consulting perform those functions for you! the volume and complexity of information. Have Galaxy Consulting create a solution for you! 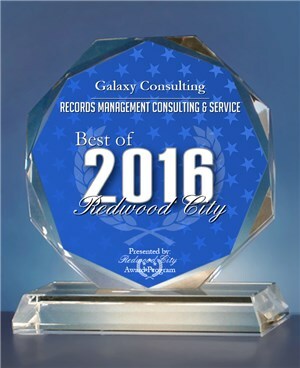 Galaxy Consulting has been selected for the 2016 Best of Redwood City Awards for Records Management Consulting & Service. 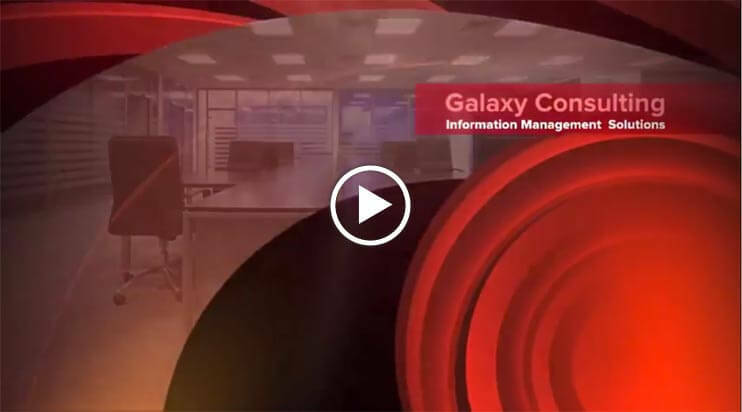 Galaxy Consulting provides specialized services in information management. At Galaxy Consulting, we help businesses in a variety of industries and sizes to get their information assets organized and under control so that they could work more efficiently, more productively, and, as a result, more profitably. We help companies to manage their valuable information assets in a way that fits their specific needs and requirements, taking into account how people, technology, and information relate. We are located in Redwood City, CA and we successfully service clients from around the globe! You may want to utilize a tool like SharePoint, implement a content management or document control solution, develop an information management strategy, ensure legal and regulatory compliance, enable and optimize search, optimize your website - whatever your needs are, we are here to help! 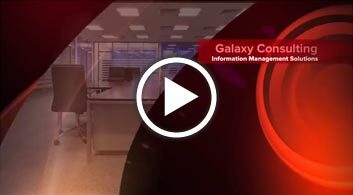 Look to Galaxy Consulting for anything related to your company's information. From content inventory, analysis and optimization… to disaster and litigation preparedness… to document management, retention and lifecycle… it is all within our Galaxy! To create order through systematic information management that results in work efficiency, legal and regulatory compliance leading to maximum operational productivity for our clients. Our guarantee: we are 100% committed to the success of our clients. We succeed only if our client succeeds. If a client is not satisfied with our services, we will work with the client to make it right. We will always give you the best services for the affordable price. To learn more, please contact us today at (650) ­474-0955 to schedule a free, no obligation consultation! In 2016, for the 2nd year, Galaxy Consulting has been selected for the Best of Redwood City Awards for Records Management Consulting & Service. Read Press Release Here.